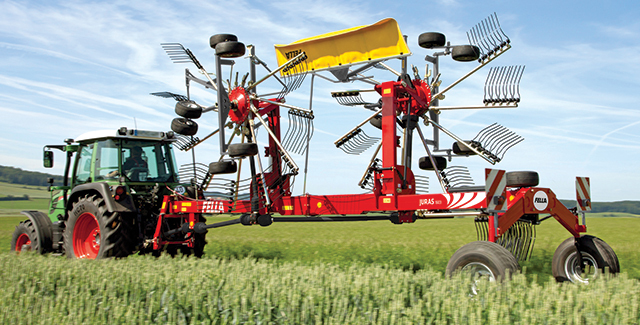 With a wide range of rotary rakes, FELLA offers the best solution for each individual forage harvesting need. FELLA has been delivering efficiency, innovation and durability for more than 95 years. This rake has a TS5 high-performance rake head and contact-sensing chassis. Not to mention, it has six wheels with 8" tires that can maneuver the most difficult stubble conditions. FELLA rotary rakes use cardanic rotor suspension to adapt to your soil type, precise steerguard steering solution and also feature a durable FELLA rake head with enclosed design. 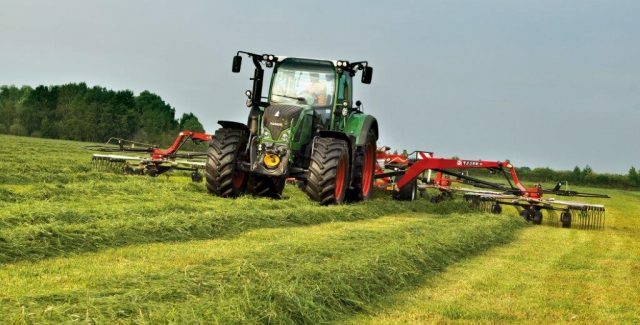 The TS 8055 Pro brings two swaths together and the TS 1603 flips two swaths over.